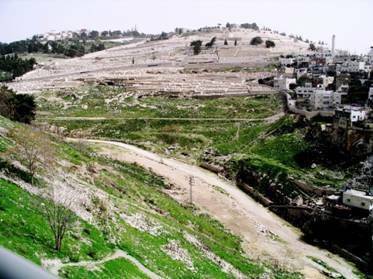 Under the leadership of Simon ben Cleopas, the brother of Jesus (Yehoshua ben Yosef), and James (Jacob) the Just, the Nazarene leadership vacated the city of Jerusalem. Within their historical Nazarene tradition that believed and respected the words and prophesies of Yehoshua before his death, they remembered the words of Jesus on the Mount of Olives. The approach of the Roman armies with the total disintegration of Jewish social life was enough to suggest to Simeon ben Cleopas that the prophetic fulfillment of this prophecy was at hand. There was a long standing theological opinion that the abomination of desolation must be a replication of when Antiochus Epiphanes IV offered a sacrifice of a pig on the altar of the temple in Jerusalem about 165 BCE. Yet in the context of what Jesus was portraying on His Sermon on the Mount, any such action would have been too late for anyone who chose to flee for his life. As we shall see the sages of the Hebrew Nazarene Ecclesia observed with prayerful pondering that the abomination of desolation was occurring right before their eyes. It was not a foreign invader, but rather their own high priest and his servants, plus the Zealots and the Sicarii, that were threatening all Jewish life and property and above all, God’s sacred ground. According to the rabbinic chronology which was initially put into written script in the 13th century by Rabbi Yose b. halafta in his work, Seder Olam Rabbah (The Great Order of the World), Nebuchadnezzar destroyed the temple of Solomon in the Jewish Year 3341. Note that this calendar date was a date which progressed with time or 3,341 years since the days of Adam in the Garden of Eden. One of the difficult eras of calendar dating has been the Persian Empire of Cyrus, Darius and Artaxerses. The dating system of our modern calendar for A.D. (“Anno Domini Nostri Jesu Christi") or “in the year of Our Lord Jesus Christ” and B.C. (“Before Christ”) was instituted in 527 CE by a Roman Catholic Abbot Dionysius Exiguous. He was a Roman Catholic Scythian Abbot who came to Rome and witnessed the Christmas festivals that were centered at the winter solstice called Paganalia or Saturnalia rather than the Nazarene Messiah’s birth. Though his calculations were six to seven years off, as Yehoshua’s birth came at the festival of Succot in 7 to 6 BCE, the concept of historical calculations centered on the birth of the Jewish messiah remained the standard for the entire world. The Catholic monks in the Middle Ages labored to develop a dating system of the world empires prior to their date; the Roman, Grecian, Persian, Babylonian, Assyrian and Egyptian. They used the 70 week of years prophecy in Daniel to include the date of the death of the Jewish messiah, Yehoshua. On the other hand the Jewish chronologers kept a running calendar from the beginning of their historical time, the creation of Adam. The most difficult era was the Persian Empire which was calculated by the medieval monks and comprises our conventional historical calendar today. It stated that the Persian Empire began in 539 BCE and ended in 332 BCE for a total of 207 years. Yet the Jewish rabbinic calendar for the Persian Era used the historical data of the Jewish people, who actually lived through this era in Babylon and the cities of the Persian realm. They stated that the entire Persian Empire was only 51 years from 368 BCE to 317 BCE. The difference between these two calendar systems is 156 years. Yet it was the Jewish Prime Minister of both the Babylonian and the Persian empires that the following prophecy was written. It was in the Jewish year 3830 that the destruction of the second temple of Herod was destroyed by General Titus, the son of the new emperor of Rome, Vespasian. This occurred on Tisha B’Av, or the 9th of Av in 70 CE. True to the traditions of their forefathers, upward to three million Jewish pilgrims returned from the Diaspora to their Holy City, Jerusalem, during the Sabbatical year of 68 CE. It was there that they were to participate in the first festival of that year, Passover, that was called Pesach. Within the perimeters of the walls of Jerusalem, the residents of Jerusalem and all the pilgrims became trapped as the Roman legions of Vespasian marched into the province of Judea and surrounded the city in siege. For over two years, the city was starved out and those that escaped were brutally crucified on crosses outside the gates of the city. It is estimated that over 2.5 million Jews died as a result of war, famine and disease and over 1 million Jews were exiled over all parts of the Roman Empire. Over 100 thousand were sold as slaves to the Romans. Many Jews were later killed and tortured in the gladiatorial ‘games’ and pagan celebrations in the Coliseum in Rome. Yet according to the prophecies of Daniel, 490 years would be “determined for your people and for your holy city”. This time period was the same as 70 weeks of years or 70 x 7 days per week. The Prime Minister and prophet of Israel, Daniel was reviewing the prophecies of the Prophet Jeremiah and the time was almost here when the Lord of hosts promised that He would restore His people, the Jews, back to their homeland. The people of Daniel, the Jewish people and their holy city of Jerusalem, had a prophecy about their own destiny. That prophecy of destiny began with the destruction of Jerusalem by Nebuchadnezzar on Tisha B’Av in the Jewish year 3341 (421/420 BCE). 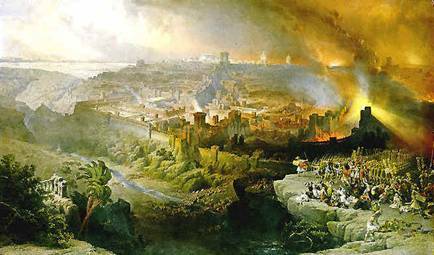 It ended with the destruction of Jerusalem by the Roman legions of the Emperor Vespasian and his son, Titus on Tisha B’Av in the Jewish year of 3830 (70 CE). As the Lord of hosts did state, 490 years were determined among Daniel’s people and their holy city, Jerusalem, was once again destroyed. One thing the Hebrew Nazarene Ecclesia excelled in was typology and prophetic understanding of the TaNaKh (Torah, the Prophets, and the Writings). Was it not the Nazarenes who combed the Septuagint scriptures to find the prophecies in relationship to the Yehoshua as the messiah of Israel? Were it not the Jewish sages that endorsed the change of the Jewish scriptures from the Septuagint, because of the messianic prophetic interpretations, in favor of a new ultra-literal Greek translation in the second century by Aquila of Pontius? 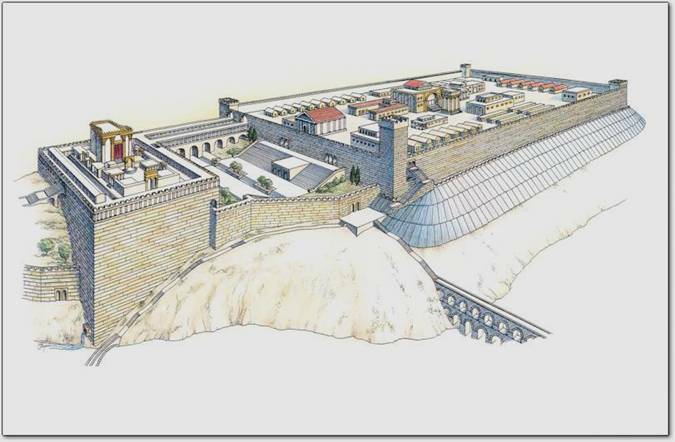 Was it not Yehoshua standing near the temple of Herod when he clued his disciples on the future destruction of Jerusalem? They were forewarned, they listened, and they learned. Did not the Jewish people already proclaim these acclamations upon Yehoshua as He made His entry into Jerusalem on a donkey as a king coming to be received by His own people? Yet, He stated that there would be another time, another event in the future when this mini-drama would be replayed in its final dramatic act. The ministry of the Hebrew Nazarene Ecclesia in Jerusalem was centered on the message of Yehoshua HaMaschiach (Jesus the Messiah) as found in the Beatitudes and the Sermon on the Mount. They found that their message of love and service to the Son of God, who lived among them and died for their salvation, was being drowned by the growing irrational outcry of death and destruction for the Romans. At the same time, it was producing a devastating holocaust among their own people. It was 66 CE and four years after the death of James the Just, we see Jerusalem and Judea in a political, moral, and religious spiraling free-fall of internal destruction. Effective governance of the Nazarene Ecclesia was becoming difficult as contact with the non-Jewish gentile Christian churches in Antioch, Glastonbury, Marseilles, Rome, and Alexandria was being cut off by the political instability of Jerusalem with Rome. Almost forty years had lapsed since the crucifixion and resurrection of Jesus on that Passover eve on 30 CE. The fate of the Hebrew Nazarene Ecclesia in Jerusalem was uncertain. The political and religious climate was not only hazardous but deteriorating every month. The Nazarene leaders recognized the signs and omens very well. The prophecies of Jesus were boldly imprinted in their minds. Was it time to take dramatic action? Was this the moment in which they were all looking for, the return of the Maschiach (messiah) as the promised return of Yehoshua? The Chasidim two hundred fifty years before had to flee in the 2nd century BCE to Perea, east of Galilee and the Jordan; the Hasidim disciples of Hillel the Great and Menahem the Essene fled to Perea and Damascus in 20 BCE, and the Nazarene believers under the death warrant by Rabbi Shaul fled in 35 CE to the region of Pella in Perea. The Zealots were impatient because Jesus had not returned as the promised messiah to drive the Romans out of Judea. They were taking divine justice into their own hands. All appeals for patience, love, and compassion were falling on deaf ears. For those looking and waiting for divine intervention were now praying for divine protection. Under the leadership of Simeon, the cousin of Jesus and his wise council, the main Nazarene leadership packed up and made a daring escape once again this time to the land which had provided refuge for their forefathers, the land of Perea in the city of Pella. It is unclear as to what date that this occurred, but it was after 62 CE, the earliest date that Simeon was nominated and probably as late as 66 CE before the Roman troops began to move into the land of Judea. 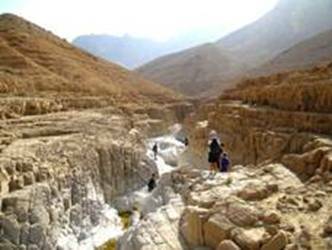 The cycles of history can be seen in the ancient roots of Israel. It was Lot who fled from Sodom, before a mighty natural catastrophe fell upon the land, and the Children of Israel fled from Egypt before destruction swallowed up the Pharaoh and his army. To the Nazarenes as depicted in Revelation 11:8, Jerusalem became now spiritually related to Sodom and Egypt. Epiphanius, the Bishop of Cyprus – “When the city was about to be … sacked by the Romans, all the disciples were warned beforehand by an angel to remove from the city, doomed as it was to utter destruction. 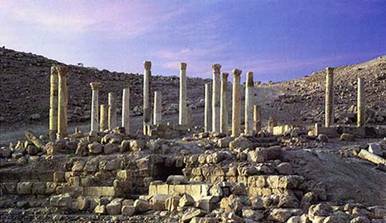 On migrating from it they settled at Pella … across the Jordan (Epiphanius, de Mens. et Pond., 15). Now this sect of Nazarenes exists in … the district of Pella ... Messiah having instructed them to leave Jerusalem … on account of the impending siege (Epiphanius, Haer (Heresy) 29:7). That this flight from Judea was probably close to the spring of 66 CE to the area of Perea and the Greek city of Pella, must also be collaborated with other historical texts. In the fall of 66 CE, this same city was sacked by a Jewish force and devastated. For what reason? Was this “last act” of the House of Ananus and its blood oath against the House of Joseph and Jesus? Was this “last act” when Mattathias the son of Theophilus the grandson of Ananus was reigning high priest in Jerusalem? Was he fully aware that Simeon ben Cleopas the cousin of Jesus (possibly half-brother) had escaped to Pella in Perea with a large group of Nazarenes? Would it be inconceivable that with the family dynasty of Ananus the Elder still intact except for the death of Jonathan by the hands of a zealot Sicarii, that they remembered full well in 35 CE when a large group of Mandean-Nazarenes fled to this same region. It was at this time when Jonathan, the son of Ananus was high priest and commissioned the young Jewish zealot, Shaul of Tarsus, also with a armed military force, to cross over Jordan and hunt the Nazarenes down? We would assume that a group of zealots for the law as the Nazarenes were known would not be staying in a Greek city in Perea. They would find a more isolated area in surrounding mountains to hide. Even thought the city of Pella was destroyed, it is not known if any Nazarenes were there at the time. The top leadership was still intact as we see traces of Simeon the nasi of the Nazarenes for almost another forty years. As the Nazarenes were in flight from the city of Jerusalem around 65-66 CE, Josephus records that there were astral phenomenon that were signifying portents and dire omens for the future of Judea. Were these signals or portents a declaration that such an event had happened or was about to happen? In Revelation, when the woman ‘ecclesia’ had to flee into the wilderness, so the Nazarene Congregation in literal reality fled in the early months of 66 AD to the hills and wilderness near the city of Pella, in the region of Perea. So again at the time of the end, the Jewish ecclesia of messianic believers in Yehoshua, along with the two witnesses, will again flee again from Jerusalem when the forces of the Antichrist will surround the city. The comet-star that resembled a sword could have been to the Nazarenes a reminder of Yehoshua’s warning to flee to the mountains coupled with the ancient oracle in Numbers. This oracle had many years before been cited by the Zadokite-Essenes as a harbinger so that one of their leaders would leave the land of Judea and go to Damascus. The omens of destruction were clear to the wise while the land was disintegrating into chaos and destruction. It was imperative for the Covenant People of God to once again depart into the wilderness and there in the calm and quietness of the wilderness sanctuary to await the Judgments of the Lord. This area had been the haunt and refuge of zealots and messianic leaders for almost two centuries. It would once again claim its own. 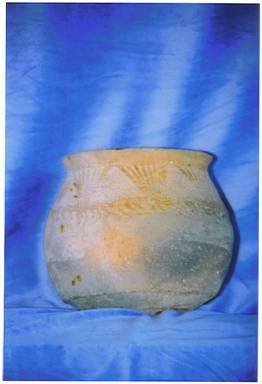 It is here that fragments of the Nazarene community are found even today in the Nosarenes and the Nusairiyeh tribes. In isolation from the rest of the world, these tribes are a possible testament of that once dynamic church whose spiritual energy had been sapped away by corruption in the purity of their faith and the dissemination of their holy ones by persecution and death. In the year 69 CE the last Sabbatical Year Passover was in progress. The city of Jerusalem was surrounded by the forces of Rome and omens hung in the air of the total destruction of Jerusalem. According to Josephus, over three million Jewish people were crowded into the city of Jerusalem for the great Sabbatical pilgrimage of the Jews from the Diaspora. There at Passover, two days before the selection of the Passover lamb, on the 8th of Nissan, a supra-natural light shown down upon the altar and the temple making the whole temple mount edifices glow in brightness as the light of the mid-day sun. When the light withdrew, from all appearances, the mercy of the Lord of hosts withdrew itself from the premises of the God’s holy city and His holy temple. The Chamber of Hewn Stones was only one of two sites in which the Great Sanhedrin sat in judgment. It was located to the southeast of the Altar of Burnt Offering. Yet there was a second site, “outside the camp”, in the walled village of Bethphage and considered to be a part of Greater Jerusalem. Nestled at the Summit of the Mount of Olives, slightly east of the Miphkad Altar where the Red Heifer and the Day of Atonement goat that was “chosen for the Lord” was burnt to ashes. (4) The huge brass doors of the Hekel that took over twenty men to close, kept mysteriously opening on its own. Since the Talmud does record in specific these harbingers of doom that were known and accepted by the larger Jewish community, what did they actually mean? During the divine rituals of the awesome ceremonies of Yom Kippur, the Day of Judgment, the high priest first took off his royal robe called the “Golden Garment” and put on a linen robe. At this moment, his official duties as the high priest at Yom Kippur began. Here the Tzaddik (Righteous one) of Israel mediated for his people in the Holy of holiest before the mercy seat of God over the Ark of the Covenant. After the high priest sacrificed a young bullock for himself and his family, he turned his attention to two young spotless goats. There besides the altar was a golden urn. Inside were two golden tablets; one was engraved “For the Lord” and the other was engraved “For Azazel” which meant, “For the people.” Which ever tablet was pulled out first with the right hand of the priest would determined the fate of the “sacrificial goat”. The left hand of the high priest would then pull out the golden tablet which would determine the fate of the scapegoat. Earlier traditions stated that within the receptacle in the Holy Place were placed two stones; one white stone representing “For the Lord” and the second black stone representing “For Azazel” or “For the People”. A lottery with the selection of a white stone or a black stone was drawn only for the first goat that was selected to belong “to the Lord”. If a black stone was selected, the God of Israel was rejecting the sacrifice of the goat for the sins of the Jewish people as a national people. If the God of Israel did not accept their sacrifices, another year was needed for national repentance. The blood from the goat that was chosen “For the Lord” would be taken behind the temple veil and sprinkled over the mercy seat on the Ark of the Covenant for the sins of the people. Then the “golden tablet” was placed upon the head of the other goat, Azazel, and the sins of the congregation were pronounced. This goat was then taken to the wilderness with a red cord around its neck, cast off a cliff or into a pit, where it would die. During the two centuries before 30 CE, the High Priest picked by random selection a white stone as often as he picked a black stone. The Jewish people had another year to renew their faith and relationship with their God. Yet a strange event occurred. After 30 CE, no more “white stones” were ever selected. The approval of the God of Israel never came. He appeared to be hiding His face from His own people. The omens to the Jewish people and its implications were astounding. For the last forty years that the Jewish people lived in a semi-autonomous state, only the “black stone” was chosen. It is not truly known if the high priest in the Temple of Herod used golden engraved tablets or black and white stones, but one thing was clear. For forty years, an omen occurred at Yom Kippur when the high priest year after year pulled out the golden tablet “For the people” or a “black stone” with his right hand. It was the belief of the Jews that if the high priest pulled out first the “white stone” or the golden tablet, “For the Lord” in his right hand, the Lord of hosts was looking favorably upon them. If the high priest pulled out the “black stone” or the golden tablet engraved “For Azazel (the people)” first in his right hand and the golden tablet, “For the Lord” was pulled out with the left hand, then severe judgments were to be pronounced upon the people and that their temple would be destroyed. The name Azazel that was given to the scapegoat was a name of significance from Jewish antiquity. It represented that inter-dimensional leader of the rebellious forces in heaven, later known as Satan or the Dragon. It was upon this goat, Azazel that the sins of the Jewish people were to be placed and cast into a pit in the wilderness. This typology was predicted to be played out to its fullness at the time of the Great Day of the Lord, when the Messiah of Israel (Maschiach Yisra’el) returns and goes to battle with the Dragon for His people as depicted in the last Jewish apocalyptic scroll, the Book of Revelation. The “goats” were not cast aside because they believed the wrong creed, spoke the Name of the Lord with the wrong syllables, worshipped the Lord with the wrong rituals, or excommunicate people from their churches because they did not conform or affirm certain creeds of the church. No, they were cast out because they were not ‘just” or tzaddiks. They did not feed the hungry, give water to the thirsty, shelter the stranger, clothe the naked or visit the imprisoned. Jesus is looking for a people who will follow Him and become a tzaddik or a righteous person like Him. Here we remind ourselves of the prophet Zechariah who wrote the Oracles of the Lord to the Jews that at the time of the end, the Jews must replace rituals with obedience. The second omen that occurred after 30 CE and the death of Yehoshua was that the “crimson red cord would not turn white” during the Day of Atonement. Returning to the scene in the temple in preparation for the Day of Atonement, the high priest in the Temple of Herod took the two goats and then the two golden tablets were drawn from the golden urn. These tablets were placed on the heads of each goat and their fate was sealed. The sacrificial goat was taken away and slain and its blood was sprinkled over the foundation stone which jutted through the middle of the Holy of Holiest where the Ark of the Covenant once rested. The scapegoat, on whose head was placed the golden tablet which said “For Azazel (for the people) was placed; a red sash or red cord that was tied to its horn. After the blood of the sacrificial goat was taken into the Most Holy Place and sprinkled on the Foundation Stone, the high priest appointed a special Levite handler who took the red sash or cord off the horn, tore it in half, and then retied one half of the cord back onto the horn of the goat. The other half of the red cord was tied to the door post of the temple. The Jewish pilgrims could graphically portray in their spiritual imagination, the scapegoat carrying away the sins of the people of Judea. Yet another mystery occurred for forty years that produced a hush upon the throngs of people. Every year the golden tablet “For the people” was selected by the right hand of the high priest. Every year they anticipated the judgments of the Lord. Every year they prayed for one more redemption as they saw the red cord hanging on the door of the Hekel. Maybe this year, this red cord dipped in the blood of the Sacrificial goat would turn white. Maybe this year the Lord of hosts would accept their offering and redeem the people to His favor. One half of the red cord was tied to the dying goat that plunged to its death over the ravine or starved in the wilderness pit. The other half of the red cord was tied to the front door post of the great Hekel of the Most Holy Place. Then a supernatural event happened. Yet, scholars are unsure of which Simon the high priest we are referring to. There was also Simon II (219-199 BCE) and Simon Maccabeus, the son of Mattathias who though was not of the divinely approved high priest family, the House of Zadok, became the founder of the Hebrew Hasmonean Dynasty (142-135 BCE). For forty years during the high priest reign of Simon the Just, the crimson thread that was associated with the purity of his person turned white as he entered the Holy of Holiest. It was also noted, during the forty year reign of Simon the Righteous, that he pulled the white stone “for the Lord” with his right hand. Every year the national people in Judea soon began to understand that the Lord of hosts was communicating to them. They once again had found favor in the eyes of the God of Israel. This occurred with such consistency that the Jewish people imprinted the idea that when the crimson thread turned white and the “white stone” lot was picked up by the right hand of Simon the Just that the God of Israel still favored them as His chosen people. For the one hundred sixty years, the crimson red wool string would some years not turn white and remain red. Some years it would turn white. They also knew that the high priest would some years pick up the “black stone” instead of the “white stone” with his right hand. It became further imprinted that the pleasure or disapproval of their Lord could actually be portrayed to them as a national people literally during the Great Day of Judgment at Yom Kippur. Yet the reversal of the signs began on the Yom Kippur following that mysterious and cataclysmic earthquake at Passover, April 4, 30 CE when on the eve of the High Sabbath, Rabbi Yehoshua ben Yosef (Jesus son of Joseph) was executed by hanging on the tree of crucifixion. After that date, starting with Yom Kippur, 30 CE, never again did the red thread turn white on the high priests wrist. Never again did the high priest pick the “white stone” lot or the golden tablet engraved with “for the Lord” with his right hand. Never again did the red cord, half was tied to the horn of the “Azazeal” goat and half of the red cord was tied to the great bronze doors of the Hekel, turn white and show the divine favor of the Almighty One of Israel for His own people. For forty years, the favor of the Divine blessed the Jews during the high priest reign of Simon the Just. After Simon the Just, for one hundred sixty years (40 x 4 years) the Jewish people found intermittent favor in the eyes of the Lord. Death and resurrection of the One, who came with the proclamation from the Baptizer in the wilderness “Behold the Lamb of God”. He spent His whole ministry proclaiming the coming of the “kingdom of heaven” and His relationship with His Father in Heaven. When He died, for forty years, the Divine One of Israel turned His face away from the land of Israel and the Jews in hopes that they would turn their eyes to Him. Then came the ultimate catastrophe the Jewish people. They were swept out of their land, the city of Zion in Jerusalem was leveled to the ground, and the Temple of Herod was torn down to the bedrock. The temple rituals permanently ceased. Isaiah 1:18 – “Come, let us reason together, saith the Lord: though your sins be as scarlet [crimson], they shall be white as snow; though they be red like crimson, they shall be as [white] wool". As if there was a divine warning, between the year of 30 CE and 70 CE, for forty years, the red cord never turned white. Their sacrifice was not accepted by the Lord of hosts and God’s chosen people refused to come and “reason together” with Him. The omens of a future destruction of their temple and their temple sacrifices not being accepted by the Lord of hosts weighed heavily upon their hearts. The hand of the Lord of hosts was demonstrating to the temple leaders who were instrumental in the death of Jesus that His life was fulfilling their festival rituals and became the ultimate fulfillment of their Torah. Their God was changing the rituals of the earthly temple. The Passover and the Yon Kippur ‘sin offering’ rituals were no longer necessary. It was time to celebrate the “great mystery” of the God of Israel. The death of Yehoshua (Jesus) forever sealed the fate of all mankind. Some would choose to be sheep, who would follow their Shepherd, Yehoshua. Others would choose to be goats and follow their shepherd, Satan or Azazel. 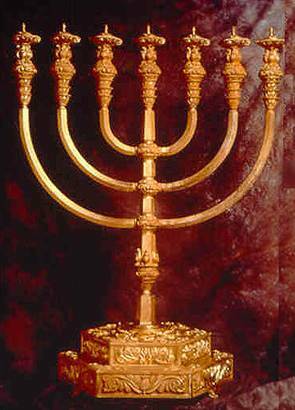 The third omen that started at 30 CE after the death of Jesus was “the western most light” on the temple seven candle-stick Menorah went out and refused to shine or send forth any light. Every night for 40 years -- or over 14,400 nights in a row -- the main lamp of the Temple lamp stand blew out of its own accord -- no matter what attempts and precautions the priests took to safeguard against this event! What was the western most lamp? What was its significance? Daily the Great Menorah in the temple was cleaned in the morning by the priests. Standing about six feet in height, according to Talmis iii, 9; Yoma 33a, the four almond shaped lamps towards the western side of the menorah (towards the veil and the Holy of Holiest) were cleaned and relit and after the morning sacrifice the two almond shaped lamps to the eastern side of the temple were cleaned and relit. The seventh or central lamp stand, called the Ner-ha-Ma’arabi was called the ‘Western Lamp”. This lamp remained lit all day and was cleaned and relit in the evening. It was the fire from this “Western Lamp” that was used to relight all the other lamps while the menorah lamps were daily being cleaned. As such, it was called the Ner Elohim or the “Lamp of God”. According to the Men. 89a, each lamp contained a bowl that held one-half log measure of oil which was the amount of oil that would fit in three eggs. This was enough oil to keep the lamp burning through the longest night of the year in mid winter. Yet the Ner Elohim would routinely burn through the next evening. There is a small but growing group of Biblical scholars who believe that Yehoshua (Jesus) was crucified on a tree in which the crossbeam that He carried was lashed to the tree and there He hanged. It was Peter Michas, who documented in his book, “The Rod of an Almond Tree in God’s Master Plan” the following relationship between the Rod of Aaron and the tree in which Yehoshua was crucified. According to the research of Peter Michas, the Tree of Life in the Garden of Eden was an almond tree, of which a branch of that tree became the rod which the future High Priest of Israel, Aaron, used. 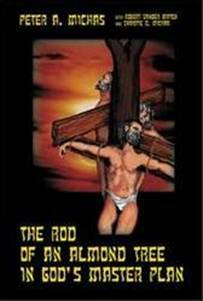 This “rod” was in the inheritance of Adam and passed down through the ages from Adam to Abraham to King David, who planted it on the Mount of Olives. Here “outside the camp” near the site of the sacrificial site of the Red Heifer, Yehoshua was executed. Did not the Apostle Peter who spoke of Jesus saying? Was it not the Hebrew Matthew version that gives us a Hebrew-Jewish account of Yehoshua’s death? Hebrew Matthew 27:26-37 - “Then he (Pilate) released Barabbas (to them), and delivered to them Jesus for beating and affliction that they might hang him. Then the horsemen of the court took Jesus under guard and came together before a great company of many people. They clothed Jesus with silk garments and covered him with a greenish silk robe. They made a crown of thorns and placed it on his head and set a reed in his right hand and were bowing and mocking him (saying): Peace be upon you, king of the Jews. They spit in his face and took the reed and struck his head. When they had mocked him (much) they stripped the robe from him, dressed him in his own clothes and gave orders to hang him. Is it any wonder also that many of these scholars believe that the tree that Yehoshua was hanged on was actually an almond tree. 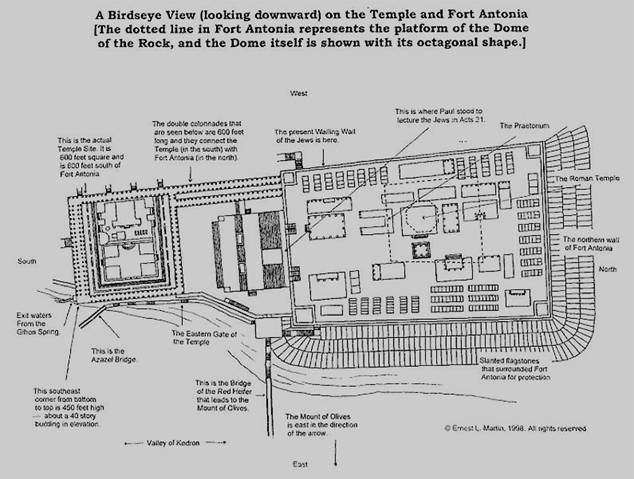 The textual study suggests that Aaron’s cane that was initially placed in the Ark of the Covenant, was taken out during the era of Solomon’s Temple after it miraculously flowered and rooted. This growing almond tree was planted on the Mount of Olives. About a thousand years later, Jesus, the “Light of the world”, was hung on this Almond tree, called the Tree of Light, which was near the Miphkad altar where the ashes of the Red Heifer were collected. Yet, Yehoshua, was not only the “Light” of the Father to the entire world. 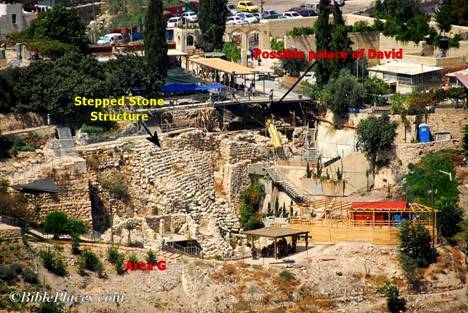 This revelation on the Mount of Olives was potentially even more profound. According to Peter MIchas’ research, as posted by Yahochanan, there hanging on the almond tree between two criminals, the Procurator Pontius Pilate hung over Yehoshua head the following sign that read. Yahochanan (John) 19:19-22 – “And Pilate wrote a title too, and put it on the stake, and it was written: YAHOSHUA OF NATSARETH, THE SOVEREIGN OF THE YAHUḎIM. Many of the Yahuḏim (Jews) therefore read this title, for the place where Yahoshua was impaled was near the city, and it was written in Hebrew, in Greek, in Roman. So the chief priests of the Yahuḏim said to Pilate, ‘Do not write, “The Sovereign of the Yahuḏim,”’ but, ‘He said, ‘I am the Sovereign of the Yahuḏim”.’ Pilate answered, ‘What I have written, I have written.’"
This sign as written in English (Line 1) and written in Hebrew (Line 3) was phonetically translated from Hebrew into English (Line 2). The thesis of Peter Michas’ research is that a more accurate reading of this sign over the head of Yehoshua came from four letters that are enlarge in Lines 2 and 3 to write out an acronym, or abbreviations, that to the Jews held great significance. This type of acronyms is used widely in the western world today, such as IBM, NATO, and NBC. Is it any wonder that the leading temple hierarchy in Jerusalem when reading the sign saw the Holy Name of the Almighty One of Israel, the name of Yahweh, which no orthodox Jew was allowed to utter since the day they went into captivity in Babylon. Today, the Jews call the God of Israel, HaShem, meaning “The Name”. Yet, to have the Holy Name of Yahweh hanging over the head of Yehoshua (Yahoshua) was to them blasphemy. The sentence pronounced by the High Priest Ananias earlier in the Palace of the High Priest on the slopes of Mount Zion, was now becoming prophetically true. According to the traditions of the Jews, these omens went for forty years which was the length of time from the execution of Jesus to the destruction of the temple of Herod. The hierarchy of the temple priests became more and more aware that the sacrificial system within the temple was corrupted and not accepted in the eyes of the Lord of hosts. Evidence depicts that a non-animal sacrificial system was instituted at the temple during this era by James the Just and the Sanhedrin of the Hebrew Nazarene Ecclesia of Jerusalem. The history of the Nazarene Ecclesia with James the Just (Yacov HaTzaddik) suggests that this Righteous One, ‘The Tzaddik’ was installed as the oppositional high priest to the Sadducean high priest who bought the rights to this office from the Roman authorities. According to the historical texts, yearly, James the Just entered the Most Holy Place during the highest holy day of Yom Kippur, the Day of Judgment or the Day of Atonement. At the same time he donned the miter of the high priest. 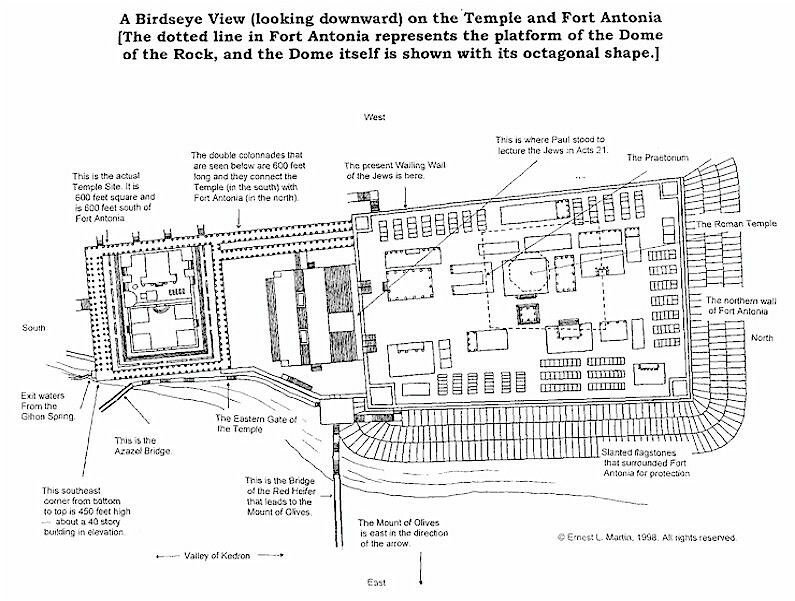 Since the miter and the garments of the high priest were usually held in the custody of the Roman governor in the Antonia Tower or in the custody of King Agrippa, then we must assume that James the Just and Symeon ben Clopas had the tacit approval of the Roman governor or the Roman appointed King Agrippa. 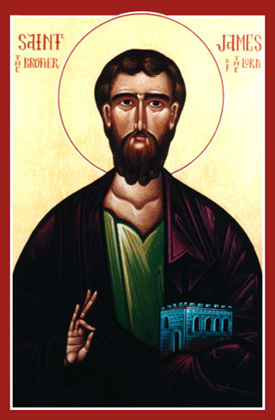 With a better historical understanding of the life of James the Just, it could probably be surmised that the Roman authorities knew that James the Just was the central figure of peace and stability in the province of Judea. Allowing James the Just to perform these sacred duties as the high priest was for the best interest of Rome and Judea alike. 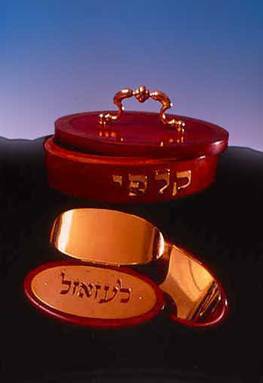 When Yehoshua died on the stake as the ‘sin offering’ for all mankind, the ceremonial sacrificial system of offering the sin offering was fulfilled. Man had been ransomed from the “sin of Adam” by the Son of the Almighty One and it was sealed by the blood of the Divine One. When the tension of political rivalry became so intense so did the effects of malice, greed and corruption. Within the Jewish society we have evidence of the Jewish leadership, of Davidian and Priestly descent, that was described as righteous and was called by his countrymen, Yacov ha Tzaddik (James the Just) . At the same time, every known history of the Jewish people in the first century depicted the temple leadership of the Sadducean families that controlled the office of the high priest and all their courts or entourage as extremely corrupt and dreadfully evil. As Jewish historians would explain later, this era the Jewish temple culture had descended to the forty-ninth level of degradation during the last forty years before the destruction of the temple of Herod. Eusebius in the Church History quoting Josephus - “Taking, then, the work of this author, read what he records in the sixth book of his History. His words are as follows: "Thus were the miserable people won over at this time by the impostors and false prophets; but they did not heed nor give credit to the visions and signs that foretold the approaching desolation. On the contrary, as if struck by lightning, and as if possessing neither eyes nor understanding, they slighted the proclamations of God. At one time a star, in form like a sword, stood over the city, and a comet, which lasted for a whole year; and again before the revolt and before the disturbances that led to the war, when the people were gathered for the feast of unleavened bread, on the eighth of the month Xanthicus, at the ninth hour of the night, so great a light shone about the altar and the temple that it seemed to be bright day; and this continued for half an hour. This seemed to the unskillful a good sign, but was interpreted by the sacred scribes as portending those events which very soon took place. And at the same feast a cow, led by the high priest to be sacrificed, brought forth a lamb in the midst of the temple. And the eastern gate of the inner temple, which was of bronze and very massive, and which at evening was closed with difficulty by twenty men, and rested upon iron-bound beams, and had bars sunk deep in the ground, was seen at the sixth hour of the night to open of itself. And not many days after the feast, on the twenty-first of the month Artemisium, a certain marvelous vision was seen which passes belief. The prodigy might seem fabulous were it not related by those who saw it, and were not the calamities which followed deserving of such signs. For before the setting of the sun chariots and armed troops were seen throughout the whole region in mid-air, wheeling through the clouds and encircling the cities. Day and night he went through all the alleys crying thus. But certain of the more distinguished citizens, vexed at the ominous cry, seized the man and beat him with many stripes. But without uttering a word in his own behalf, or saying anything in particular to those that were present, he continued to cry out in the same words as before. And the rulers, thinking, as was true, that the man was moved by a higher power, brought him before the Roman governor. And then, though he was scourged to the bone, he neither made supplication nor shed tears, but, changing his voice to the most lamentable tone possible, he answered each stroke with the words, 'Woe, woe unto Jerusalem.'" The same historian records another fact still more wonderful than this. He says that a certain oracle was found in their sacred writings which declared that at that time a certain person should go forth from their country to rule the world. He himself understood that this was fulfilled in Vespasian. Josephus – “Moreover, the eastern gate of the inner, [court of the temple,] which was of brass, and vastly heavy, and had been with difficulty shut by twenty men, and rested upon a basis armed with iron, and had bolts fastened very deep into the firm floor, which was there made of one entire stone, was seen to be opened of its own accord about the sixth hour of the night. Yet again, beginning at 30 CE, the Temple doors that were closed at night swung open mysteriously during the sixth hour of the night hours as the temple guard were elsewhere in the temple. This left the sacred temple premises vulnerable while the priests were asleep. It was the Deputy Sagan for the Great Sanhedrin, Rabbi Yohanan ben Zakkai who proclaimed the oracle of doom when his words were recorded in the Jerusalem Talmud (Sota 6:3). These omens and portents haunted the House of Ananus for forty years. It put fear into the life of the last high priest of the House of Ananus. It was during the reign of the last grandson of Ananus the Elder, Mattathias the son of Theophilus, when a new omen came over the temple of the Lord. The days of the House of Ananus appeared to be numbered as the temple in which their rule, as the most prominent high priestly family had so sacrilegiously and spiritually destroyed. The evil times portends continued to demonstrate themselves to the leadership of the Jews. According to the Torah, the red heifer was to be used as a ‘purification offering’ for the congregation of Israel. There were nine red heifers that were sacrificed since the days of Aaron and Moses at Sinai up to the final destruction of the temple in 70 CE. According to the Talmud, the tenth heifer was to be sacrificed in preparation for the final temple at the time of the end in preparation for the coming of the Maschiach (Messiah). Feeling corruption all around, the priests and the temple leadership tried to force the hand of HaShem, the God of Abraham to save His temple and bring salvation to His people. Flavius Josephus recounts the scene of the high priest making a desperate attempt to prepare a red heifer to be slaughtered for the purification of the temple while the walls of the city were being surrounded by the forces of Vespasian. Josephus – “At the same festival also, a heifer, as she was led by the high priest to be sacrificed, brought forth a lamb in the midst of the temple. The omens and portents put fear in the life of the last of the House of Ananus, the grandson of Ananus the Elder, Mattathias the son of Theophilus. The days of the House of Ananus were numbered. The days of Shammaite Pharisees called “The Jews” were over. Yet the anointed leaders of “The Way” were safely awaiting their restoration back to their holy city and to the Nazarene Synagogue that was the Mother Synagogue of the world-wide ecclesia of the Nazarenes and the Mother Church to the gentile Christians living in the Roman Empire. According to traditions of the Talmud, a tenth heifer was to be sacrificed in preparation for the final temple at the time of the end in preparation for the coming of the Maschiach (messiah). Feeling corruption all around, the priests and temple leadership tried to force the hand of HaShem, the God of Abraham to save His temple and bring salvation to His people. Was the Almighty Father telling the temple rulers and chief priests that He had the right to change the laws of nature and that their tenth red heifer had already been sacrificed as a “sin offering” in 30 CE, when the House of Ananus had His only Begotten Son, Yehoshua ben Yosef, executed on the Almond Tree on the Mount of Olives as the real Pesach Lamb, the Sacrificial Goat and the Red Heifer?